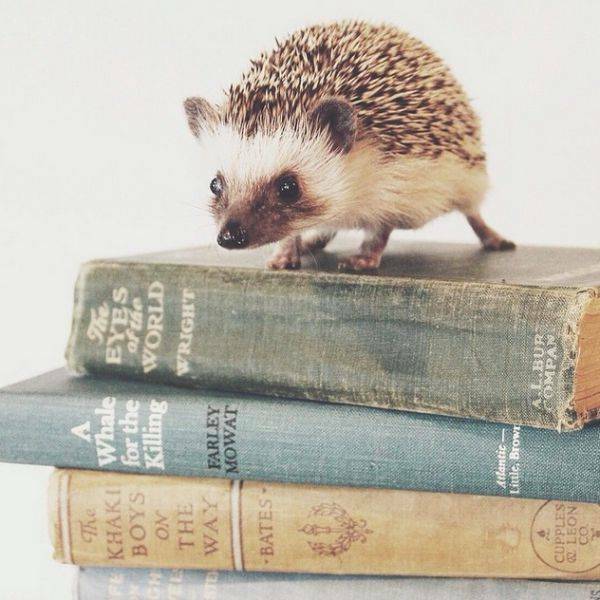 Ernest Hedgingway is familiar with his namesake’s work, of course, but he’s also passionate about YA. Here he is diving into Marissa Meyer’s Cress. 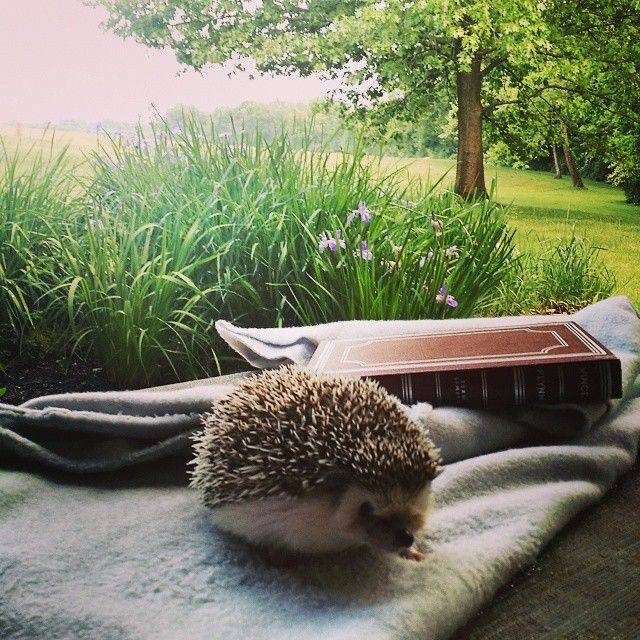 Scooter is enjoying an idyllic bookish picnic moment with a beautiful hardcover and scenic view. 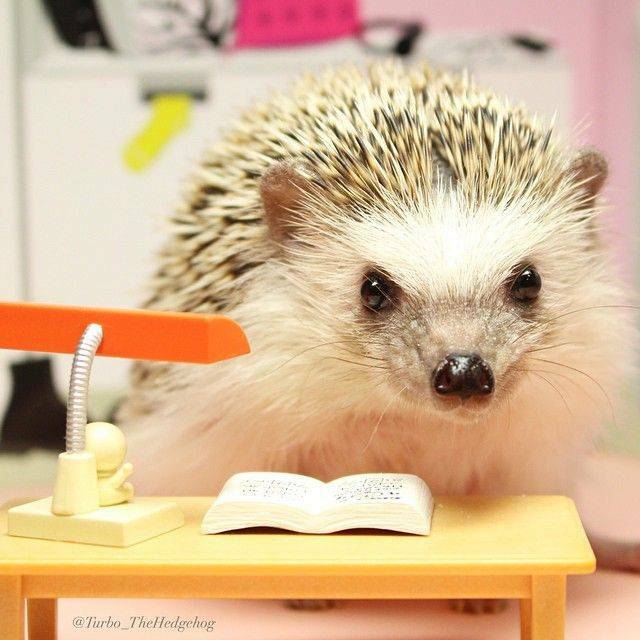 Turbo the hedgehog prefers to read at his desk, where he knows that the lighting will be adequate. Ernest Hedgingway absolutely must bring all of these books along. Removing even one would be utterly out of the question. 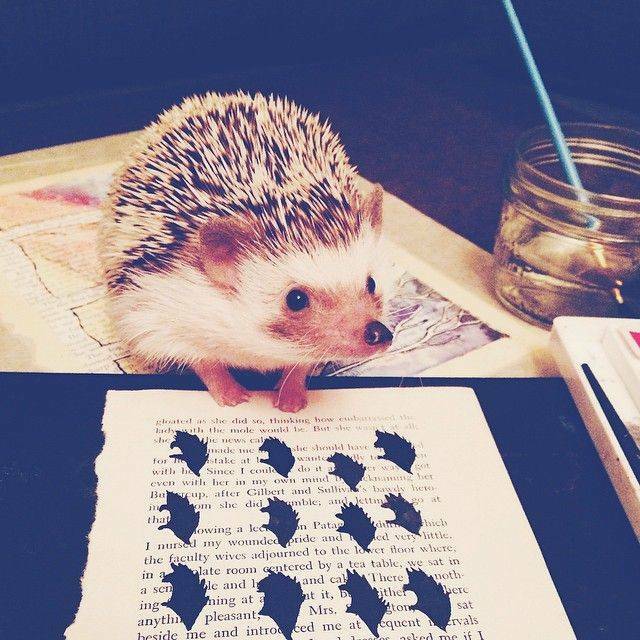 Matilda is an Ernest Hedgingway fangirl. 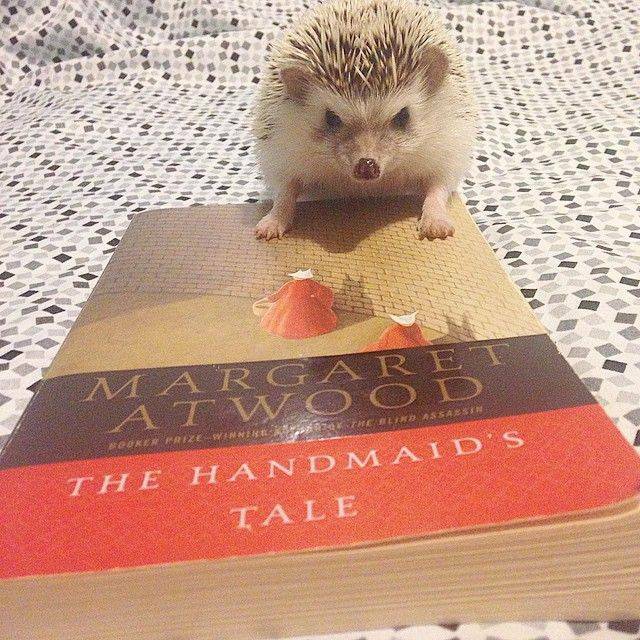 She shared this photo of herself reading Atwood because she so admires Ernest’s bookish Instagram posts. Turbo is also an avid fan of comics, especially when he can read in the company of his paratrooper lamp and purple water bottle. We strongly suspect he would enjoy our sister site, Panels. Sarrah is somewhat concerned by the height of her TBR pile. Don’t worry, Sarrah. We’ve all been there. 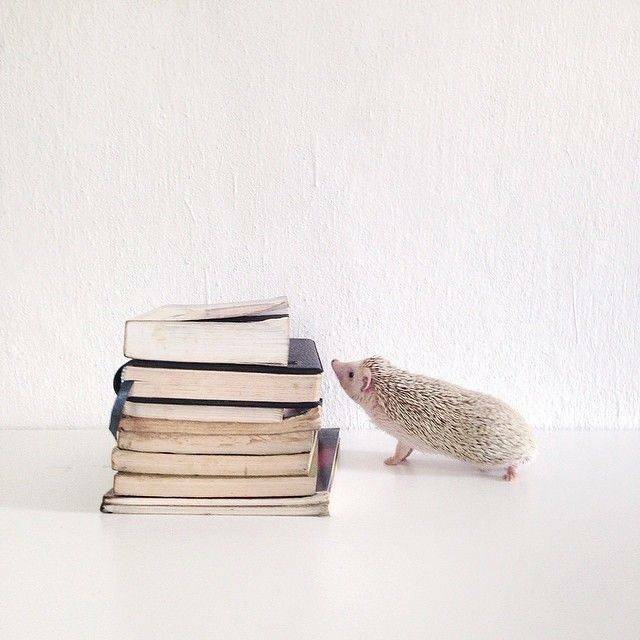 Clementine prides herself on being a thoroughly modern hedgehog. She does miss the smell of book pages, though. There’s nothing quite like it. 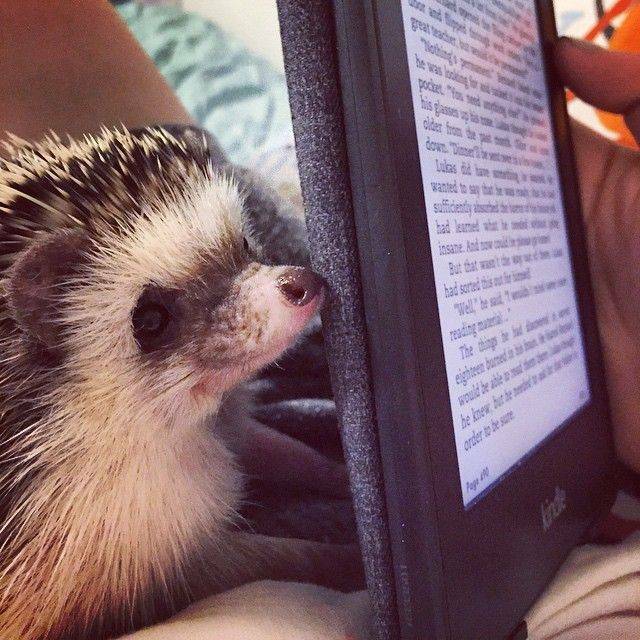 Ozzie prefers to read hardcover editions whenever possible. 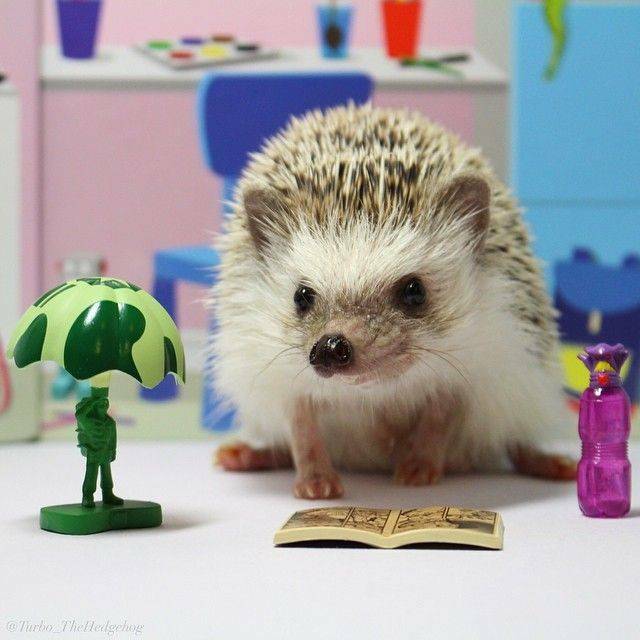 Meeps knows that not everyone approves of making books into art, but she thinks that it can be quite worthwhile. 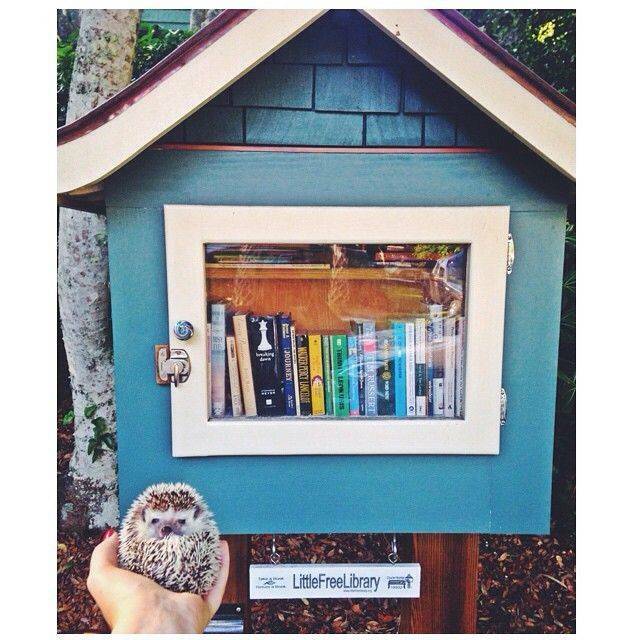 Poppy the hedgehog discovered a Little Free Library in Charleston, SC! 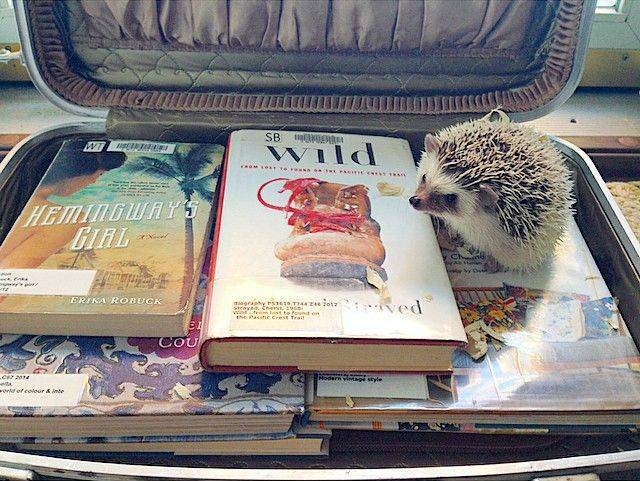 How will she ever decide which book to choose? Boris Grump has no books. His pique is understandable. 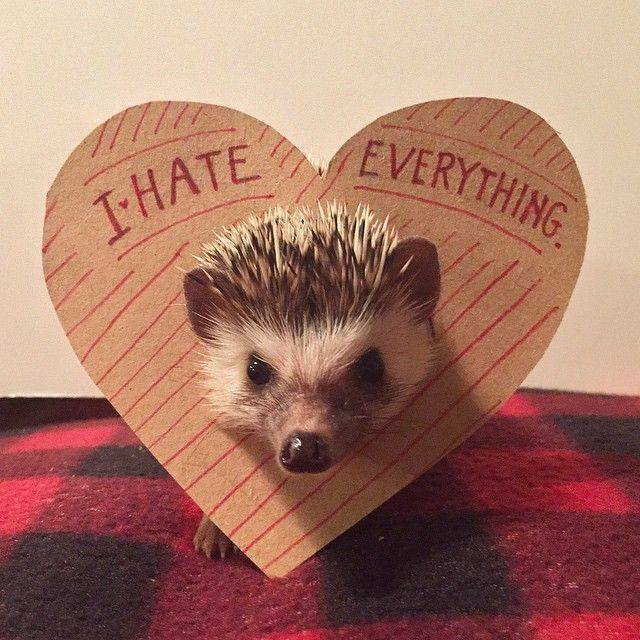 Oliver the hedgehog just wants to cuddle. 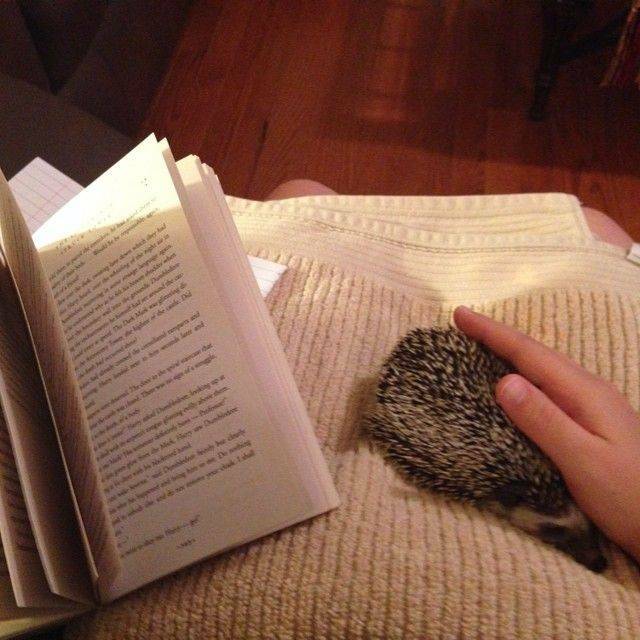 Maybe you could read the book out loud so he can close his eyes? Dear Book Nerd Episode #40: Books Are Ruining My Life!